Westfield W-League Week 7 action saw Arin Gilliland score a hat trick in Newcastle Jets’ 3-0 victory at Brisbane, while Seattle Reign’s Jess Fishlock scored twice as City defeated Canberra 2-1. In the match of the weekend, Melbourne City used a pair of goals from Jess Fishlock (Seattle Reign) to send Canberra United home with a 2-1 defeat in front of a crowd of 2,504 on December 10. Fishlock has four goals on the season, from two braces, and her second goal was from a turnover where she dribbled free and shot from well outside the penalty area to beat American Haley Kopmeyer (Seattle Reign) for the winner in the 80th minute. Former New York Flash and all-time W-League leading scorer Michelle Heyman scored the lone goal for Canberra, her fourth of the season. 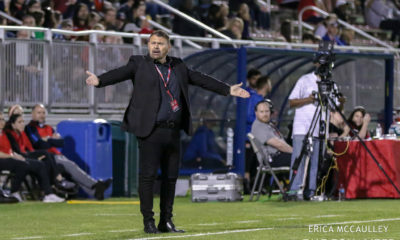 For City’s NWSL contingent, Reign loanees Lauren Barnes (U.S.), Rebekah Stott (New Zealand), Lydia Williams (Australia), Fishlock (Wales) and Orlando Pride loanees Steph Catley (Australia), Alanna Kennedy (Australia) and Ashley Hatch (U.S.) all played the entire match, with Seattle’s Australian international Larissa Crummer subbing in for the last 15 minutes for Rhali Dobson, who played in season one of the W-League with Newcastle Jets and left the Jets to join City for this season. 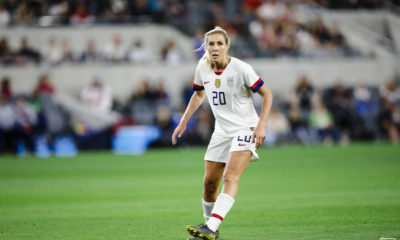 Australian international Kyah Simon, the ex-Boston Breakers forward, came out of the game in injury time for former U-20 Australian international and former Melbourne Victory forward Amy Jackson. 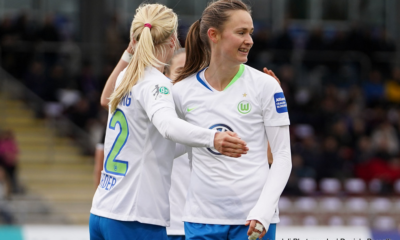 For Canberra, goalkeeper Haley Kopmeyer (Seattle Reign) and Orlando Pride defender Toni Pressley played 90 minutes as did their high profile European imports Laura Bassett (England) and Elise Thorsnes (Norway).With the loss Canberra slipped out of the top four while Melbourne City advanced to fourth on ten points. Canberra and Sydney are joint fifth on nine points. Arin Gilliland (Chicago Red Stars) scored a hat trick within 25 minutes of the first half to give Newcastle Jets a 3-0 victory on the road at Brisbane Roar on December 10. The Jets win, their second consecutive win on the road, left them in a three-way tie for first with Perth Glory and Brisbane. Newcastle is well placed to make the playoffs for the first time since the inaugural W-League season in 2008/09. 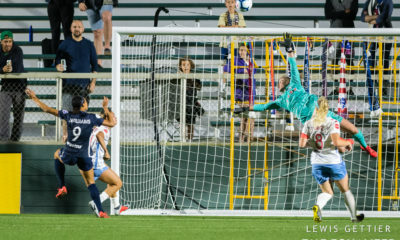 Britt Eckerstrom (Portland Thorns) recorded the shutout in goal and played the entire match as did fellow NWSL loanees Katie Stengel (Boston Breakers), Tori Huster (Washington Spirit) and Gilliland. Gilliland now has four goals on the season. 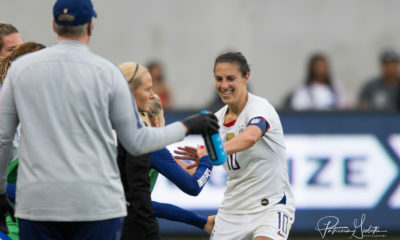 For Brisbane, Australian international forward Hayley Raso and midfielder Celeste Boureille (both Portland Thorns) played the entire match as did U.S. defender Carson Pickett (Seattle Reign). 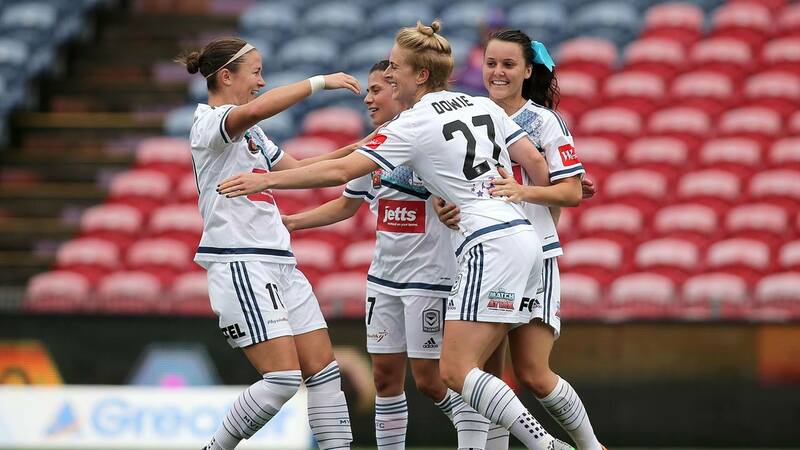 On Saturday December 9, Melbourne Victory defeated visiting Adelaide United 4-0 with three first half goals from Korea Republic international Jeon Ga-Eul, 23-year-old forward Lia Privitelli and Boston Breaker loanee Natasha Dowie. Dowie would add another goal in the second half and now has five on the season. Dowie became the Victory’s all-time goal leader with 16, surpassing Caitlin Friend (14) for sole possession. Friend’s record came in 46 games over 4 years, while Dowie is only in her third season with the Victory and has played in just 25 games. Other NWSL-active players in 2017 included Christina Gibbons (FC Kansas City/Utah Royals), Kristen McNabb (Seattle Reign) and Laura Alleway (ex-Orlando Pride), who played the entire match—as did Dowie—before a home crowd of 637. For Adelaide, NWSL loanees Danielle Colaprico, Alyssa Mautz, Katie Naughton (all Chicago Red Stars) and Makenzy Doniak (North Carolina Courage) all played the entire match. Remy Siemsen scored 2 goals three minutes apart (21’ and 24’) while Australian international Lisa De Vanna scored a third in the 62nd minute to propel Sydney FC to a 3-1 derby victory over the Western Sydney Wanderers in front of a crowd of 8,449 at ANZ stadium. Defender Ellie Brush (ex-Houston Dash and former Canberra United standout) scored for the Wanderers from the penalty spot late in the first half. Australian U-20 international Siemsen—who turned 18 this weekend—has three goals on the season and tallied six goals last season in 12 games. The two teams’ men’s sides squared off in the night cap in front of 36,433, with Sydney FC again besting their neighbors, by a 5-0 score. American international Emily Sonnett (Portland Thorns) played the entire match for Sydney while Lo’eau LaBonta (on loan from FC Kansas City/Utah Royals) played the entire match for Western Sydney, as did Kahlia Hogg, who played in the U.S. with Florida State University, the University of Colorado and W-League power Pali Blues in 2012. Hogg joined Western Sydney after many years with Canberra. Sydney FC is now 9-1-1 all-time against Western Sydney in the Harbor City derby. Perth Glory, Newcastle and Brisbane top the W-League table with 12 points. Melbourne City is fourth on 10 points, followed by Canberra and Sydney FC joint fifth with 9 points. Melbourne Victory is two points further behind in seventh with 7 points and Adelaide, and Western Sydney are at the bottom of the table with 4 points with 1 win and 1 tie in 6 matches, but a string of positive results in the second half of the season could quickly launch the trailing trio into the playoff frame.